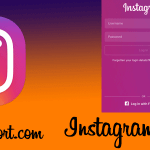 You are here: Home / Instagram / How to get followers on Instagram? Every social media user wants much and numbers of fan/followers. The number of followers is becoming a status symbol in the social media world. 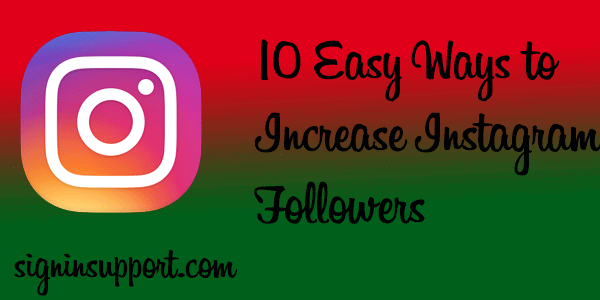 If you are an Instagram user, you surely want to increase Instagram followers so you can get more likes and appreciations for your photos and videos. In today’s world digital presence is a substantial requirement for business. So even for business, it’s essential to have big numbers of followers on Instagram. Many companies are promoting on Instagram and gaining customers from there. It is also helpful to increase your brand value. Significant numbers of followers on any social media present your strengths. It’s not hard to increase followers if you act smartly. The most important thing is you need to post photos/videos which are interesting and appealing to others. In today’s meme culture you should post the funny and relevant meme. Apart from the content here are some proven methods to boost the number of your Instagram followers. Though you can buy Instagram followers from third-party apps or sites, we strongly suggest you gain followers in the right way. You can also find sites claiming to increase followers for free, but most of them are useless. So let’s gain genuine followers for your account. 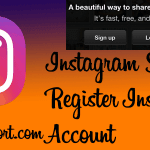 How to get followers on Instagram 2019? Unique content is what gets people to talk like, comment on, and share your posts. It will get more reach and new followers. Find what kind of contents are trending on Instagram and post accordingly. Don’t repeat the same photos and videos. Pictures of special festival or occasion tend to attract more interaction and followers. Creative, Funny, Thought quotes and current issue related post gain a higher rate of interaction on Instagram. Share your post on other Social Media. When you use Facebook to share Instagram posts, you have more chance to get new Instagram followers. Whenever your Facebook friend joins Instagram, s/he will get a notification. And they will start following you. Linking other social media like Facebook, Twitter, and Pinterest on your Instagram account promotes your engagement and leads new Instagram followers. Use relevant #Hashtags to your Instagram photos or videos. Give appropriate hashtag for your picture, start following the same hashtag. Don’t use more than three hashtags for one single image. Use some of the popular hashtags like #FollowBack, #TagForLikes, #141, #InstaFollow, #PhotoOfTheDay, and #FF to increase more Instagram followers. Each picture should have good caption before posting on Instagram. Perfect caption on post speaks more than the image itself. It increases users’ attention towards your post, and you may get more new Instagram followers. Ask questions in the captions of your photos. It is an excellent way to increase engagement. Include your Location in the post. Including the location on the pic is a good option if you are promoting local business on Instagram. People around your area will see your post and will remember your company. Posting location on the picture helps to gain local followers. Create a contest on Instagram and set some guidelines to participate, like you must follow first, like and share the post, etc. Share contest details on social sites, set prize, create a suitable hashtag for the post. Use the best filter for your picture. Filtering picture before posting it on Instagram make the difference to your Instagram followers. Proper use of the filter on image helps to gain more Instagram likes and new followers. Use filters which suit your pictures. Attractive bio and profile information. Write short and remarkable details about you on bio while signing up for an Instagram account. You need to make it noteworthy and influencing so that new users start noticing when they read your bio. Mention your hobbies, favorite sports, and sayings. Tag your friend in the post. Start tagging your friends in group pictures, quotes, Funny pictures, and storytelling pictures. It increases your activities on Instagram. The more your friends start commenting on your photo, the more chance of getting new followers to your account. Interact more with Instagram followers. Don’t leave any mention of your profile un-replied. Start commenting and liking your fan’s post and create a strong bond between them. Ask them about their opinion regarding the post and continue your engagement with your followers. Regularly post high-quality content on Instagram. Your existing followers will interact with your content and it will be visible to their followers. This exposure will attract many new people to follow you. According to Hootsuite research, content posted from 12 p.m. to 1 p.m. Monday to Friday gives the best result. Like random pictures, you got on the Instagram platform to get attraction from new users. Search users using #followback, #followme, and #likeforlike hashtags. Follow users suggested by Instagram. Follow people who have the most followers on Instagram. Continue to Sign in to Instagram account. 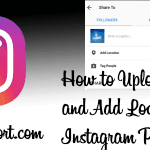 How to Upload, Crop, and Add Location to Instagram Photos? 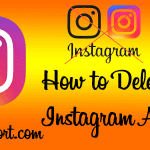 How to Log Out from Instagram?